Photo courtesy of Healthy Active Long Beach. City officials are encouraging Long Beach students and their families to take part in the inaugural Long Beach Walk to School Day tomorrow to promote walking and pedestrian safety. 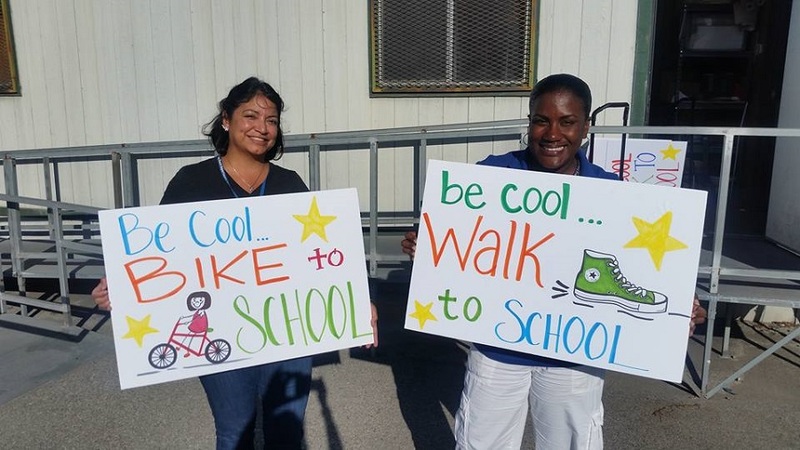 The event, themed “It’s Cool to Walk to School,” is sponsored by the city’s Department of Health and Human Services, Long Beach Unified School District and the nonprofit Walk Long Beach. “Long Beach Walk to School Day is a great way to remind everyone of the simple joy of walking to school, and the health benefits of daily physical activity,” said Mayor Robert Garcia in a statement. The event is meant to raise awareness of the need to create safer routes for walking and bicycling and emphasize the importance of increasing physical activity among children, pedestrian safety, traffic congestion and concern for the environment, city officials stated. “Walk to School Day is a great example of bringing together our partners and families to have fun and promote safety on their way to school,” said Kelly Colopy, Director of Health and Human Services, in a statement. Safety and educational materials will be provided to students arriving in the morning to school this week at the following elementary schools: Birney, Alvarado, Robinson, Whittier, Roosevelt and Addams. Some students will get to meet the “Pete Walker” mascot for the “Be Aware, Pedestrians Don’t Have Armor” campaign sponsored by the California Office of Traffic Safety. Families will also get to check out winning posters submitted from students at 24 schools that describe why they think “It’s Cool to Walk to School.” The posters will be on display at the schools. For more information the health department’s Healthy Active Long Beach program, click here.